Saturday, 25th April 2015, 11 56 AM. 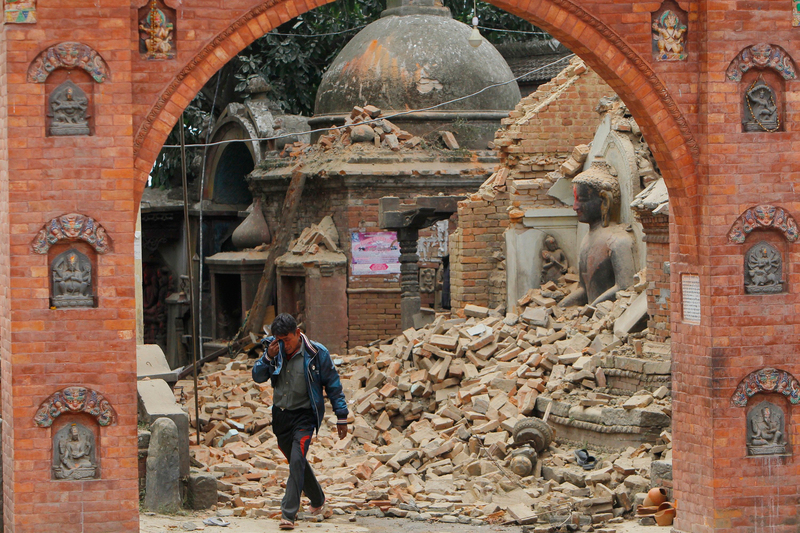 It was the time and date when Nepal was struck by a massive 7.8 Richter scale earthquake. It has since then devastated the country and continues to do so. 3800+ confirmed deaths, 7000+ injuries, 70+ aftershocks and our families are out living on the streets in fear of going inside after having felt the wrath of nature. Our own immediate families are safe, but we consider every Nepalese to be our family. Right now, they need us. When we decided to come to IE, we knew we were leaving our homes, our families but had never thought that we would be leaving them to this. At this critical time, we feel helpless being here. For some of us, IE has been a home for the last 4 years. For others, a lot less. Nevertheless, it is the place we now call our home. We can only imagine the pain that Nepal is going through right now, and so we have started a funding campaign to help our friends, our families, the families of our friends, and the friends of our families. Now we ask the IE community for their support; now we ask the IE family for help. Smaller campaigns allow us to reach the communities accessible to our family and friends, and help those that foreign aid may not. A lot of the times, larger charities are limited by their priorities, and while help is needed by everyone, these charities can only support those that need immediate help. We want to help those that may not have faced the entire burden of the quake but need help nonetheless- these communities are usually overlooked by larger charities who have more pressing issues to deal with. Bearing that in mind, we would like admit to you that we are yet to look at charities and do not want to take a hasty decision. The help we are hoping to provide is not immediate and is rather long term and so we will have to wait for the situation to subside a bit before knowing which organization/organizations has been and will be truly effective. We want to plan before we take a decision. What we can give you right now is an idea of what we want to do, as we see it, and as Nepalese we feel we need to do. With the IE Fundraiser, we intend to fund a local charity or relief effort that we know will do good work rather than a larger charity. We are in contact with like minded people who are also raising funds in different continents and who want us to pool our funding. That being said, we want the power to be within the ones who care. For that, we would like to request the IE Community not only for financial support but a lot more. We need help identifying the charity or effort we will be supporting. As locals, we will compile a list of charities that we think are effective in their work in Nepal. With them, we will provide a short description of each charity and/or relief effort, what they do, and what they want to do. Once we reach the target of funds, which is 5000 Euros at this time, we will then call for a vote by the IE Community. Each and every member of the IE Community, whether a donor or not, will have a chance to say where the money will go. Keep a look out for our volunteers in University, and do ask them a couple of words in Nepali before you donate. If you want to become a supervisor or volunteer, please contact Tsering Kenji in the Segovia Campus and Anup Satyal or Nischal Shrestha in the Madrid Campus.